My plans were to make a multi-strand necklace to go with the focal piece I last posted. It ended up looking way too heavy so I opted to use just ceramic beads and some Mykonos copper beads. The necklace part is detachable and it clasps onto the focal piece so it doesn’t need a clasp in the back. 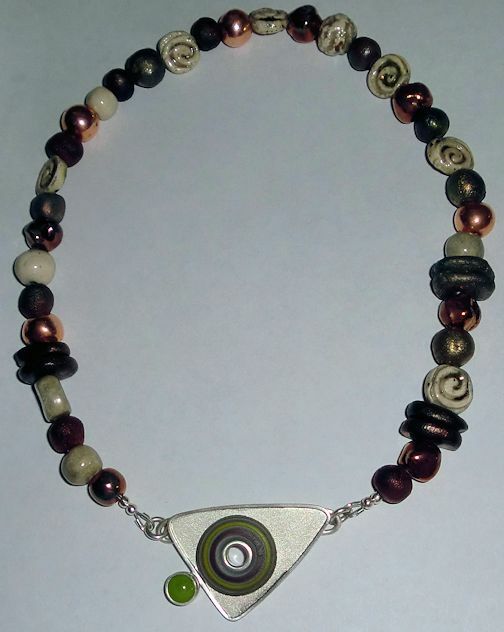 The focal piece can be changed out to another piece if I happen to make another and want to use the same necklace.